The preparation works and tarmacing at the cemetery has not taken place this week and has been re-arranged for W/C 31 July, weather permitting. As below the areas affected will be the car park, cemetery entrance and pathways. We apologies for any disruption this may cause. W/C 24th July the Contractors (Vanstones) will be undertaking preparation works and tarmacing at the cemetery, weather permitting. The areas affected will be the car park, cemetery entrance and pathways. We apologies for any disruption this may cause. 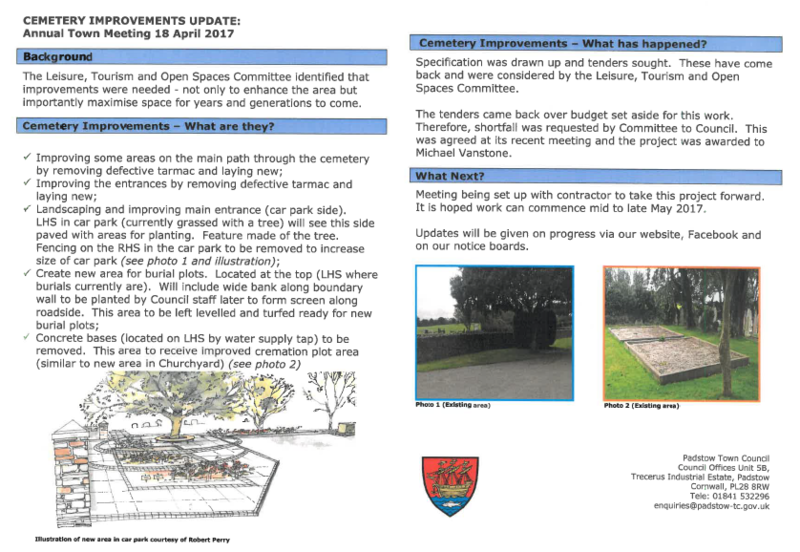 It has been confirmed that improvement works to the cemetery will begin w/c 22 May 2017. Further updates will be provided via our website and social media pages. A provisional date of w/c 15 May 2017 has been set for works to commence. Updates will be given as this project progresses.